One of the pillars of success in investment is constant monitoring of your portfolio. In a Chama scenario, this may be tricky as you are dealing with many individuals and most of the times everyone is too busy with their own private engagements to give day-to-day attention to the state of the Chama investments. To resolve this, some Chamas choose to appoint one of their members to be in charge of this task. Whilst it is a good idea, sometimes it does not serve the Chama well as this person may not have the necessary skills to give expert advice on growing the investment portfolio. By definition, these are investments that will generate a regular flow of income for your Chama. Chamas that want to invest here are usually issued government bonds. Unlike fixed income, there is a bit of risk involved here because you are investing in the stock market. To prevent losses, experts have to study the market, assess the ricks in order to get the best possible returns. Equity schemes are not limited to a certain industry or country. This means that it is possible to invest in the stock market widely. For instance through British American Asset Managers (BAAM) you can invest in the stock market in Europe or the United States whilst in Kenya. 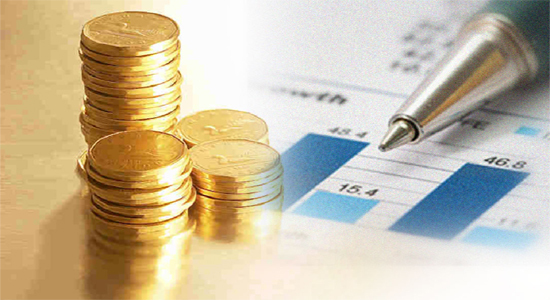 There is also balance where the mutual fund company will invest in a mix of assets such as shares, bonds and stocks. The risks are higher here but it may soon pay off in time especially for those who don’t mind waiting for a few years to get their investment back. The money market includes trading treasury bills, commercial paper and other liquid securities. You get a certain amount each month because of interest. It is safer than equity or balanced but the downside is that the rates are usually lower. If you want to increase your Chama portfolio, then perhaps you should get into asset management. Don’t forget that there are risks involved so there will be times that you will make some and lose some. By diversifying, some Chamas are able to double their fortune. To know which one is the best to get into, talk with someone from one of the firms I have mentioned above to help you find the perfect scheme. the price of the fund that is reported 3 months after the fund’s annual report. To find the best asset manager for your Chama, keep in mind that asset management companies have been around for years and you just have to find one that will be able to deliver what you require of them. Before you select one, do some research to see who are the clients and what have they done in the past because you surely don’t want to entrust your assets just to anyone. The typical asset manager focuses on the process of investment management. This involves monitoring the performance of any stocks, bonds, or other securities that your Chama has. As part of the management process, the asset manager will make recommendations regarding which investments to hold on to over the long term, which ones should be sold within a given period of time, and which new stock or bond offerings should be acquired for the portfolio. The goal is to maximize the return on all assets contained in the portfolio, while keeping the level of risk associated with the investment process within the limits determined by the client. Along with managing investments like stocks and bonds, you may call upon your asset manager to manage real estate holdings that is owned by the Chama. This can involve making sure the properties remain profitable and advising the Chama when to sell those assets and convert the proceeds into other forms of investments. The manager will often counsel the Chama when to make improvements to the properties, as a means of positioning the Chama to ultimately earn more benefit from those real estate holdings. However, it is important to understand that your Chama always has the ability to override the suggestions of the manager, and take an alternate course of action.